The debut recording sets the tone for a whimsical collision of musical genres. It combines rock & roll classics with the classical masters, as well as a Pandora's box of world and ethnic music, opera, jazz improvisation, and underscored spoken monologues, for a thoroughly theatrical listening. Imagine a collaboration between Jimi Hendrix and Strauss, Jim Morrison and Debussy. This melting pot of musical sounds creates an exhilarating experience that captures the imagination and interest of only the most hilariously disturbed. 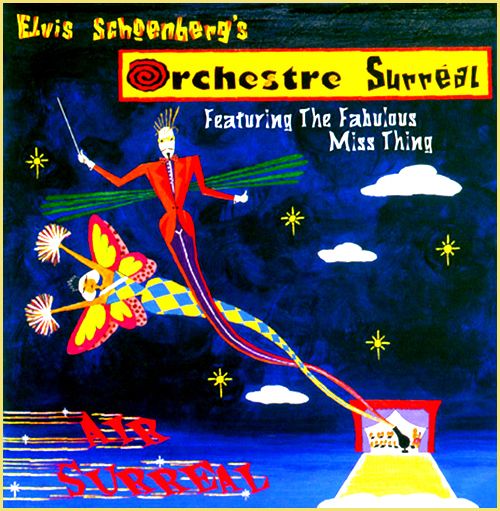 Conducted by Elvis Schoenberg, and featuring the vocals of The Fabulous Miss Thing. The second outing is even more of an unholy marriage of genres, this time with a decidedly B-flick horror movie thematic to tempt one along. 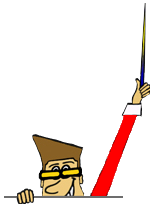 Who wouldn't love a German, dodecaphonic rendition of Blue Suede Shoes? 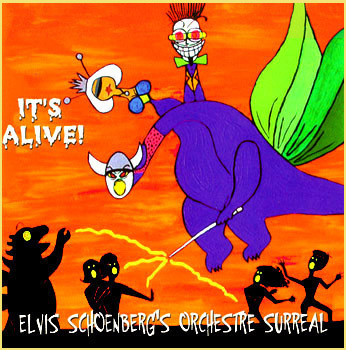 Again conducted by the mad baton of Elvis Schoenberg, and featuring the loopy, death-defying vocals of The Fabulous Miss Thing and Dangerous Dan O'Callaghan, It's Alive! coaxes with monstrous renditions of everything from the Beatles to Puccini. This unique and respectful tribute to the music of Jimi Hendrix creates an alter-universe where classics such as Fire are transformed into a Stravinsky-esque ballet suite, Little Wing becomes a visual dance of a Chinese Courtesan, and Voodoo Child is the lair of a witch doctor with African Rhythms, aggressive Bartök- esque strings and a choir of haunting voodoo chants. 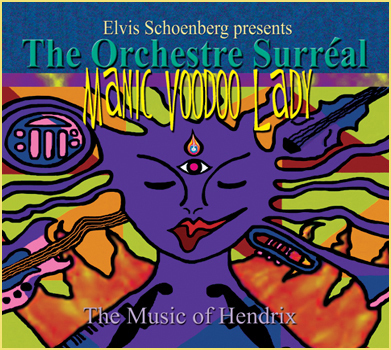 Elvis Schoenberg's arrangements are as iconic as the songs themselves. Featuring guitarists Scott Henderson, Jeff Miley, Jimmy Mahlis, Kurt James and Ken Rosser; and vocalists The Fabulous Miss Thing, The Daunting Diva Lynn, Nick Hernandez, and Headless Jason Paige.